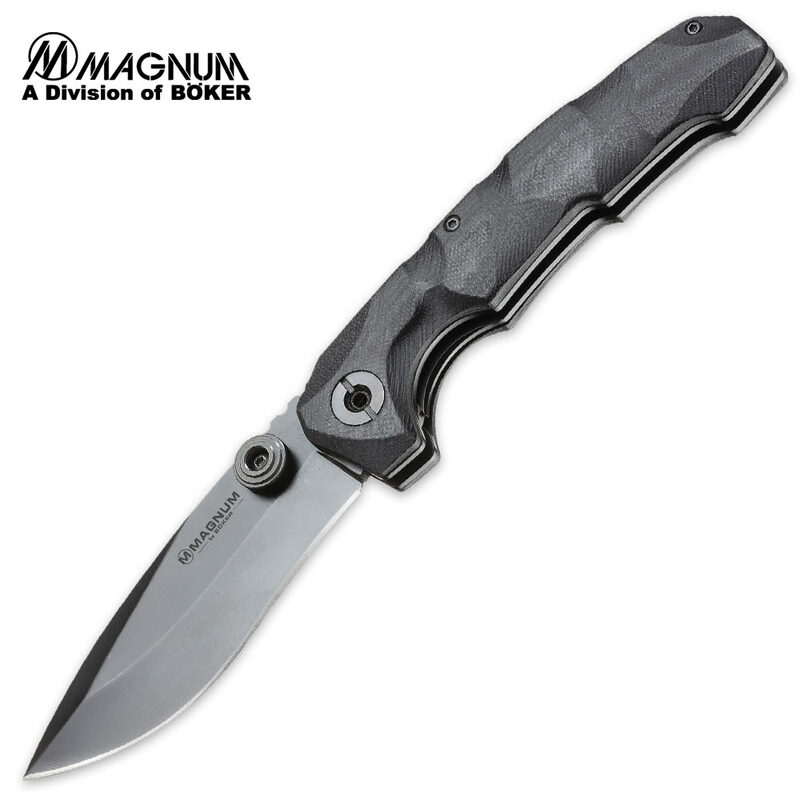 Boker Magnum Hitman Pocket Knife | BUDK.com - Knives & Swords At The Lowest Prices! The Boker Magnum Hitman is the perfect everyday go-to pocket knife. Its well-balanced, solid feel and a 3 5/8” blade size are ample for most day-to-day cutting jobs while still fitting comfortably in jeans pockets. The rugged, slightly front-loaded 440A stainless steel blade has a bellied look that is accentuated toward the point, and its smooth recurve grind offers unique elegance and visual lightness in an affordable package. The G-10 handle features an eccentric but ergonomic design. Includes pocket clip. This is impressive and making everyone jealous well made sharp.